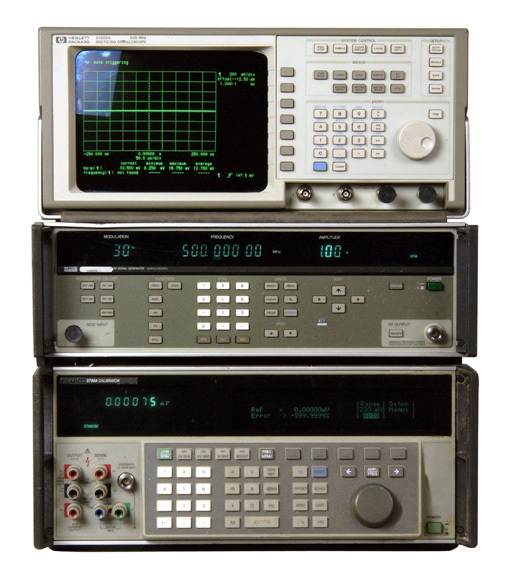 Electrical Calibration System — Mountain Metrology and Repair, Inc. These systems allow us to calibrate most instrumentation. No stone is left unturned when it comes to the calibration of our customer’s equipment. With a staff of highly trained technical and state-of-the-art equipment, every detail of your equipment is checked. Our calibration procedures are the same as those imposed by the U.S. Department of Defense to insure that your equipment receives the most stringent tests in verifying instrument accuracy. If you have special testing requirements and/or prefer that of the Original Equipment Manufacturer, simply notify us of your specifications and we can calibrate your equipment accordingly. With the replacement cost of test and measuring equipment skyrocketing, we also offer a cost effective option in the repair of your instrument. We will assess and evaluate your equipment to re-certify its performance to that of the original equipment manufacturer's specification. This evaluation allows us to identify and provide our customers with a quote specifying parts, labor and lead-time, prior to any work being preformed. If after your evaluation, you determine that replacement is your best option, your only cost will be the evaluation fee.